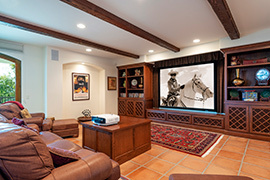 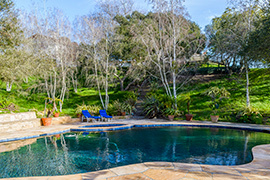 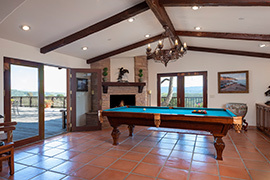 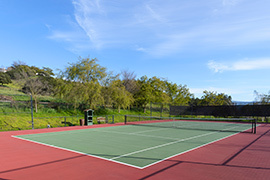 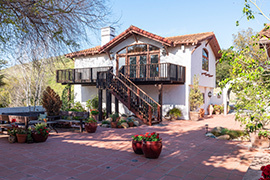 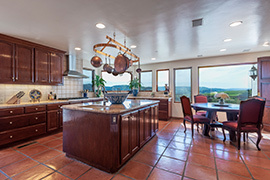 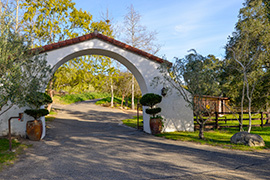 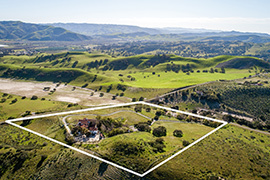 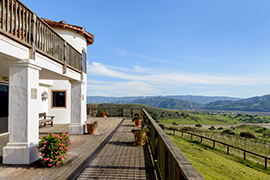 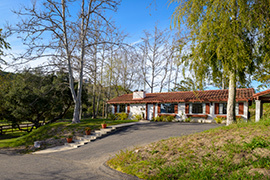 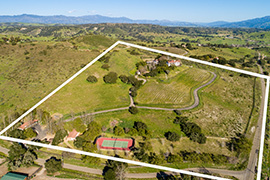 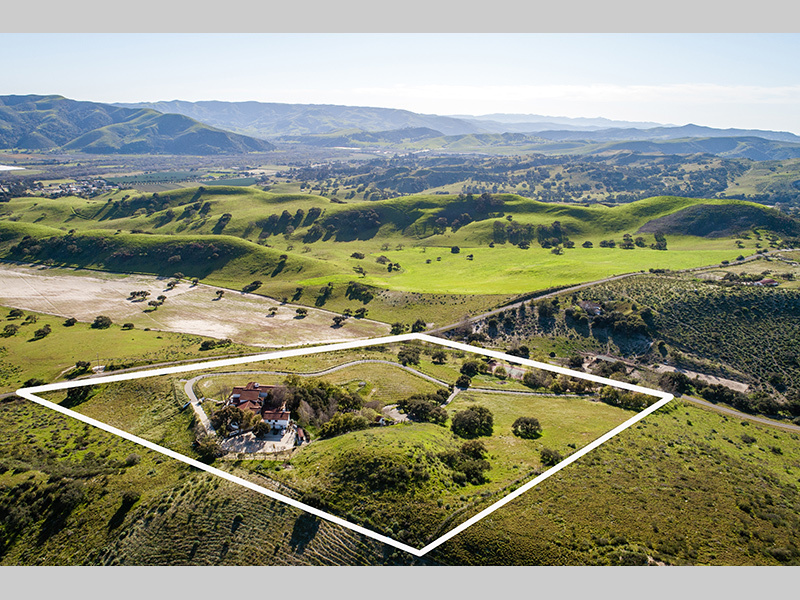 Magnificent 20+/- acre hilltop estate with breathtaking Santa Ynez Valley views. 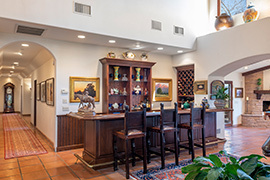 Enjoy the romance of this Spanish Revival compound complete with expansive entry courtyard. 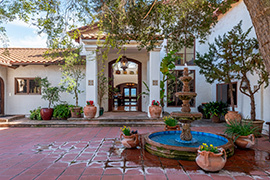 Listen to the relaxing sounds of the tiered fountain, feel the Old World presence and experience an environment designed for entertaining. 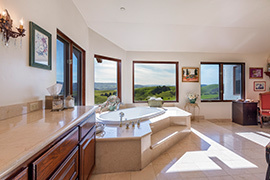 Complete with home theater, serene guest retreat, free form swimming pool & spa, poolhouse, private guest house, equestrian facilities, tennis court & even your own boutique Syrah & Pinot Gris vineyard. 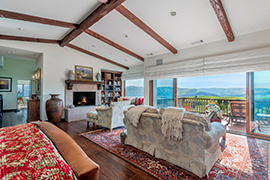 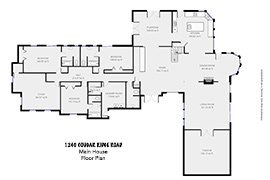 Luxury in every turn, grand stone fireplaces, balconies, decks & views that will forever mesmerize you. 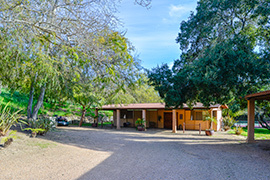 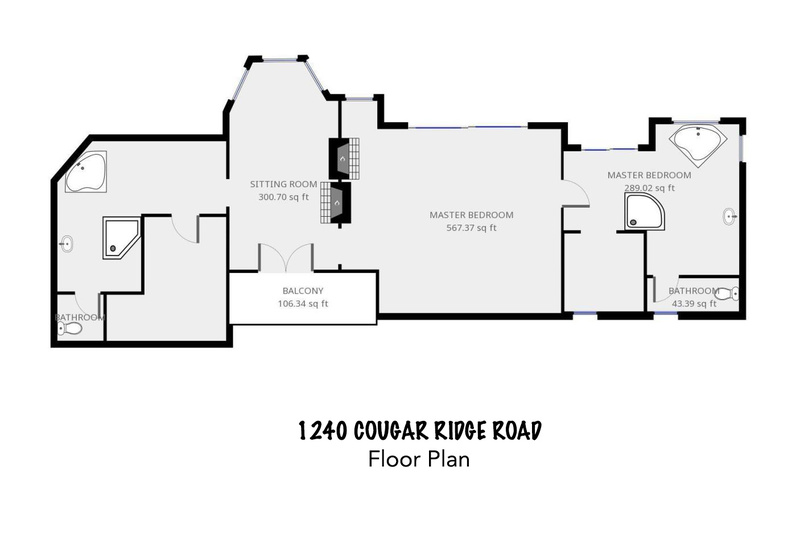 Located in a gated community with 10+ miles of maintained riding trails. 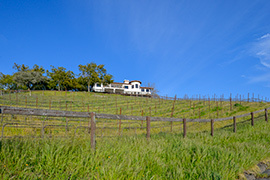 Convenient to renowned restaurants & wineries, yet removed for peacefulness among nature. 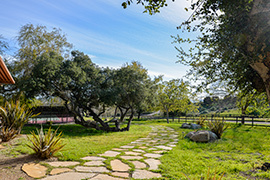 Come & fall in love.